﻿ How to Get Rid of Beavers ? How to Get Rid of Beavers ? In the North American region Beaver is known as the largest rodent that is available. Grownups can weigh up to 65 pounds and their height can reach up to 36 inches. There are different physical characteristics such as webbed hind legs, waterproof fur as well as unique shaped tail which provide this animal the liberty of living a smooth and active life in the region of ponds or aquatic environments. However, it is also of significant value to mention one point here that beavers are considered as nuisance species because of two primary reasons and they are being mentioned below. It is a fact that landowners will never like tree cutting whereas building dams is a serious complication as this results in flooding and washing out of roads in many situations. In addition to this, there are many other reasons which make the presence of beavers inside a property undesirable. This is reason people seek assistance from time to time to drive away these animals from their property. There are different strategies that can be adopted in this regard, but it is important to highlight one point here that if you don’t have any kind of previous experience in handling these kinds of matters, then it is better to call experts because chances are present that you can injure yourself in the entire campaign. Let’s discuss some prominent techniques and tips that can be used for getting rid of beavers. Different types of traps are present in the market and you can make the selection keeping in consideration the imposed requirements. There are live traps which can be used for capturing the animal alive. 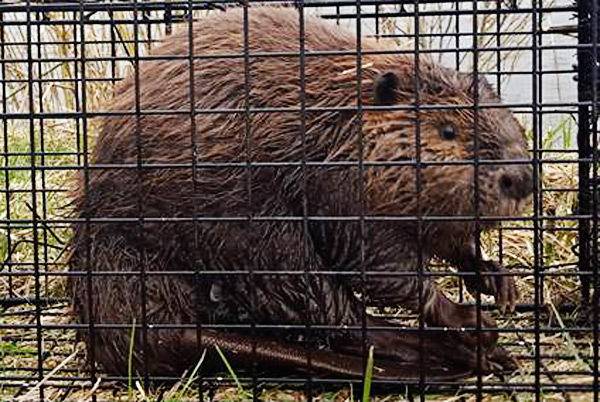 With these you trap the beaver by using a suitable bait and once the animal is lured into the trap your job will be to dislocate it to a safe, but distant location from where it can never find its way back to your home. Lethal traps have been designed to kill the animal and they should only be used in extreme conditions when you don’t have any other option left with you. It is not humane to kill the animal because it’s a living thing. After using a lethal trap you will also have to take proper steps for disposing the body of animal. Prevention is the best way for getting rid of these animals. Wire mesh fences can also be installed around your property especially around foundations of trees as this will keep them away from gnawing. For this you should better get in touch with an expert mesh installation service provider. They can help you in the best possible manner. Go back to the How to get rid of beavers home page. If you need beavers help, click my Nationwide list of beavers removal experts for a pro near you.